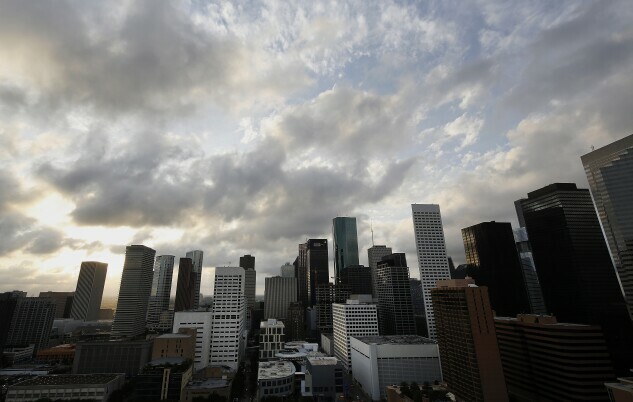 The Houston skyline on April 22, 2015. John Cruden, former head of the Environment and Natural Resources Division at the Justice Department, has joined the nation’s largest firm dedicated solely to environmental law. Meanwhile, energy practitioners are joining rival firms in Houston where Reed Smith LLP continues to add lawyers to its five-year-old office. These are the moves we’re keeping an eye on at Bloomberg Environment. John Cruden, a former assistant attorney general, has joined Beveridge & Diamond PC as a principal in the firm’s Washington office. Cruden, who spent nearly 25 years at the Justice Department also as deputy assistant attorney general and environmental enforcement section chief, will counsel clients on high-stakes environmental and natural resources litigation, civil and criminal enforcement, and compliance, according his firm biography. “I’m just getting started, working with each of our practice groups as I endeavor to both learn and add my environment, energy, and natural resource litigation and policy experience to the firm’s already substantial group of experienced lawyers,” Cruden told Bloomberg Environment in an email Jan. 19. Beveridge & Diamond represents, among other clients, the American Petroleum Institute, Shell Oil Co., Sunoco Inc., Union Carbide Corp., BNSF Railway Corp., National Mining Association, PPG Industries, Inc., and Siemens AG in environmental cases in federal district and appeals courts throughout the country, according to Bloomberg Law Analytics. In addition to his government work, Cruden was president of the Environmental Law Institute from 2011 to 2014. He is currently president of the American College of Environmental Lawyers, a membership-by-invitation professional association of environmental lawyers, and he previously chaired the American Bar Association’s Section of Environment, Energy, and Resources. Because of his involvement in certain cases on behalf of the government, he won’t be able to participate in them while in private practice. “Two very clear cases in which I am fully recused would be the Volkswagen and BP/Deepwater Horizon enforcement cases, since I led the negotiations on behalf of the U.S. in both,” Cruden said. Cruden earned his law degree from the University of Santa Clara School of Law and is licensed to practice in California and the District of Columbia. W. Robert (Rob) Shearer, an attorney who represents energy and oilfield services clients in transactions, has joined Akin Gump Strauss Hauer & Feld LLP as partner in the firm’s Houston office. Prior to joining Akin Gump, Shearer was a partner at Baker Hostetler LLP for 13 years. He will continue to work on mergers and acquisitions, joint ventures, private equity, and capital markets transactions. He recently represented Schlumberger NV, the world’s largest oilfield services company, in its $430 million purchase of the U.S. oil well business of Weatherford International Plc. He also represented a construction services provider in its $350 million purchase of an energy infrastructure services provider, according to his firm biography. In addition to oil and gas and construction industry clients, he has represented manufacturing and technology companies and an independent insurance brokerage business. Shearer joins Akin Gump’s energy team, which advised WildHorse Resource Development Corp. on credit agreement and lien issues related to its $625 million acquisition of approximately 111,000 acres and associated oil production in various Texas counties from Anadarko Petroleum Corp. and affiliates of Kohlberg Kravis Roberts & Co. The deal was announced in May 2017. Shearer, who is licensed to practice in Texas, earned his law degree from the University of Houston Law Center. He began his career at Weil Gotshal & Manges LLP. The Houston office of Reed Smith LLP, which opened five years ago, continues to add attorneys practicing energy, environmental, and health and safety law. Ben Patton, who counsels clients in environmental and workplace safety compliance, regulatory, and enforcement matters, has joined Reed Smith as a partner from Katten Muchin Rosenman LLP. He follows Daniella Landers, a partner practicing brownfields and site-remediation law, who made the same move in February 2017. Patton has represented clients in accident and incident investigations conducted by the Environmental Protection Agency, Chemical Safety Board, Occupational Safety and Health Administration, Pipeline and Hazardous Materials Safety Administration, and state and local agencies, according to his firm biography. A multinational oil and gas services company, a national utility company, a national petroleum refiner and retailer, chemical manufacturers and transporters, and a Fortune 500 offshore drilling company are among his current and former clients, according to his LinkedIn profile. Patton is admitted to practice in Texas and graduated from Georgetown University Law Center. Stacy Williams, formerly the primary legal adviser for TransCanada’s U.S. natural gas executive team and the company’s deputy general counsel, has joined Reed Smith as a counsel. He advised the company on corporate governance, compliance, litigation, regulatory, environmental, construction, commercial transactions, and budgeting. He also integrated the TransCanada and Columbia Pipeline Group legal departments after TransCanada acquired the company in a $10.2 billion deal. Williams spent two decades at Locke Lord LLP before joining TransCanada in 2015. He represented, among other companies, Sinopec, one of China’s major state-owned petroleum energy and chemicals companies, Dynegy Marketing and Trade LLC, EPEC Gas, and Comstock Oil & Gas, according to Bloomberg Law Analytics. Reed Smith recently advised Greenfield Midstream LLC in a $625 million joint venture to acquire Saddle Butte Rockies Midstream LLC and its affiliates. Williams graduated from the University of Houston Law Center and is licensed to practice in Texas. Peggy Heeg, a partner specializing in Federal Energy Regulatory Commission matters, and J. Todd Culwell, a partner specializing in international energy project finance, also joined Reed Smith in 2017. Kevin Keenan, who advises clients on liquefied natural gas project development and shipping, has joined Hogan Lovells US LLP as a partner in its Houston office. He joins the firm from Baker Botts LLP, where he was deputy department head of global projects. Keenan has advised a host of domestic, international companies, and state-owned companies on project development and transportation issues, according to his firm biography. Among other things, he has negotiated dozens of LNG sale and purchase agreements, terminal use agreements, as well as charters for LNG tankers, oil, tankers, and coal barges. He also has experience with contracts for shipyards and refinery projects. Keenan graduated from Georgetown University Law Center and is licensed to to practice in Texas.